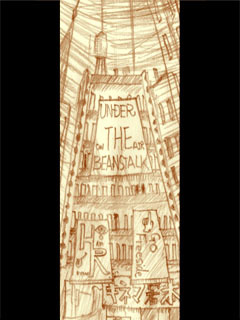 Under the Beanstalk is cyber action in the world decline. webmaster/gamedesigner mail-address: sf@kataribe.com. I request "[en]" in mail Subject. Because , I receive many English spam and virus mail, one hundred or more in a day. I'm weak reading/writing English language. Copyright(C) 1988,1993-2005 DENMOU KOUBOU TAKUMI All Rights Reserved.